While Apple unveiled its newest iPads on Tuesday, rival Microsoft attempted to steal some of its thunder in releasing its competing Surface 2 tablet, along with the new Type Cover 2 accessory. 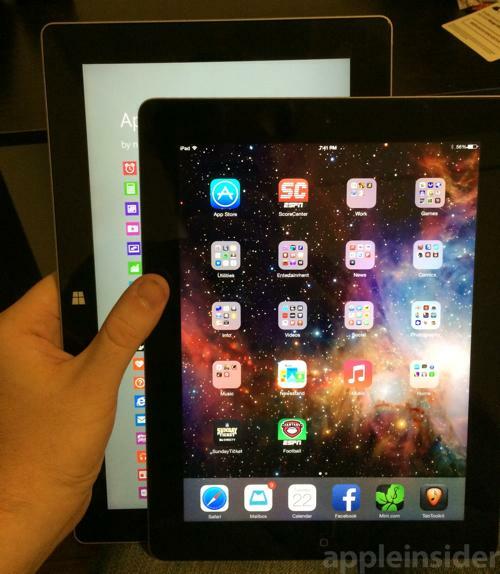 AppleInsider provides a first look at the tablet that will go head to head with Apple's iPad Air this holiday season. 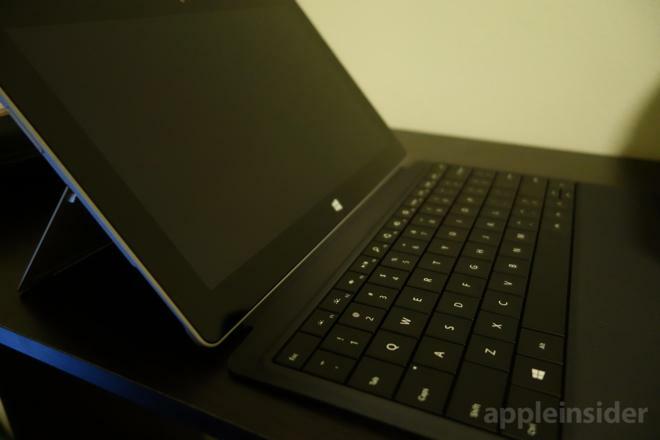 Microsoft provided a 32-gigabyte Surface 2 ($449) and black Type Cover 2 keyboard ($129.99) for review on the product's launch day —the same day Apple unveiled the iPad Air and iPad mini with Retina display. 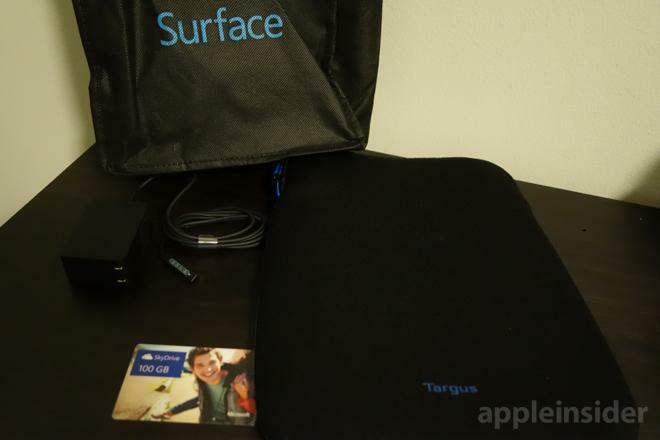 The Surface 2 was sent in a Surface-branded tote bag, and came with a protective zip-up case from Targus, as well as one year of 100 gigabytes of cloud storage from Microsoft's SkyDrive service. 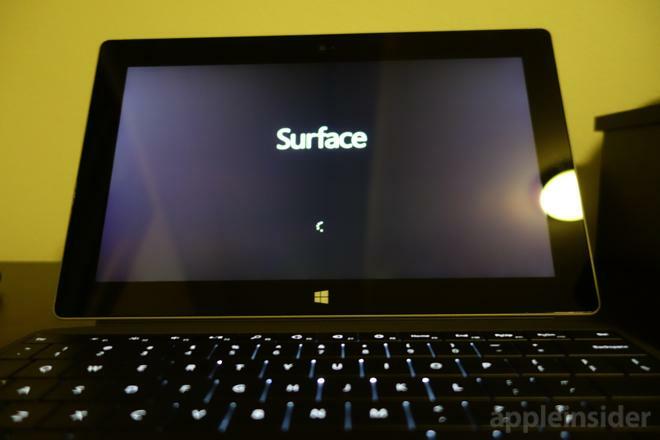 The Surface 2 and its more powerful counterpart, the Surface Pro 2, were unveiled by Microsoft last month. The low-end Surface 2 is most directly an iPad competitor, while the Surface Pro 2 runs a traditional Intel processor, making it more of a competitor to Apple's MacBook Air. The Surface 2 runs the same ARM architecture as many of today's tablets and smartphones, which, along with an Nvidia Tegra 4 graphics processor, drives the 1080p high-definition display in a 16:9 aspect ratio. 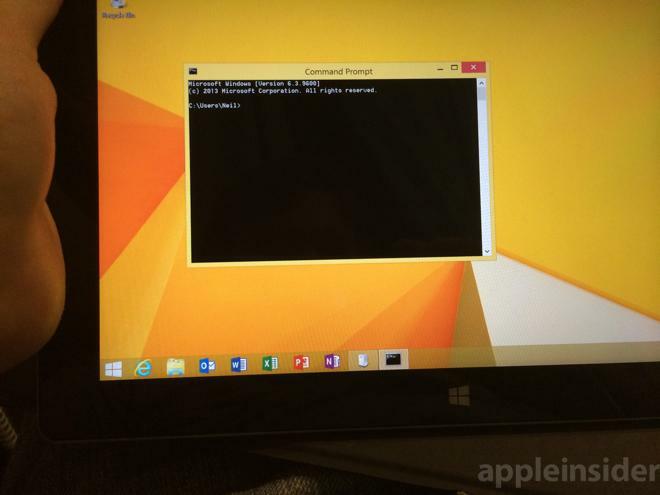 Because it features an ARM CPU, the Surface 2 still runs a stripped down version of Windows 8 that can't run traditional Windows apps. Despite this, Surface 2 running the newly released Windows 8.1 still offers a classic desktop mode, which is primarily used to access the included Microsoft Office apps. Microsoft's pitch with the Surface 2 is that it's a device that allows users to be more productive than Apple's iPad. 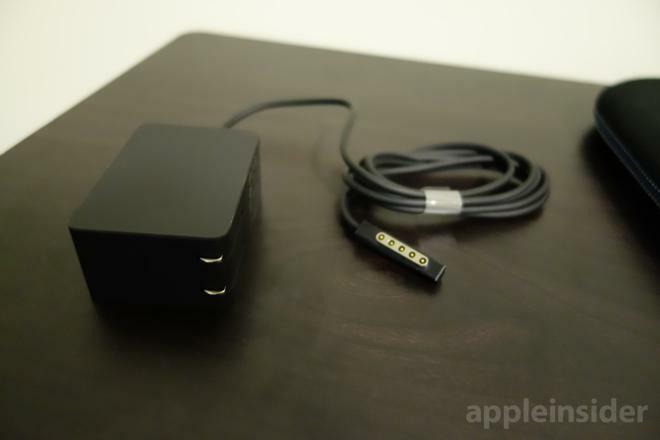 Accordingly, the device has a number of ports: USB 3.0, micro HDMI, 3.5mm audio, and a micro SD slot for memory expansion hidden under the rear kickstand. 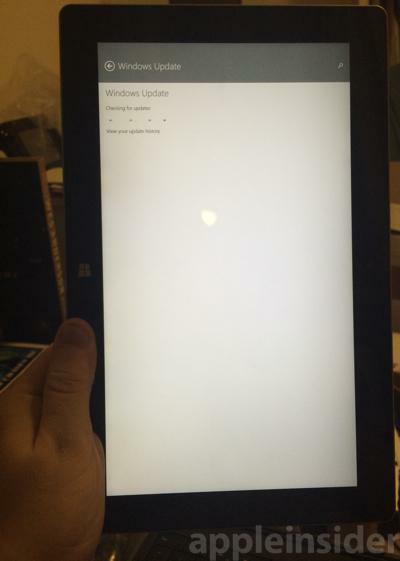 When using the Surface 2 in landscape mode, which is the most comfortable way to access the device, stereo speakers output from the left and right sides of the display. A magnetic power connector, not unlike Apple's MagSafe, exists on the right side of the display. 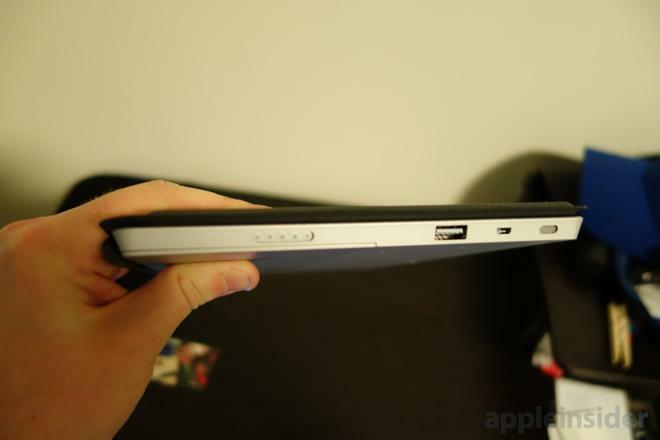 The rear kickstand has also been revised to allow two different viewing angles when propping up the device. 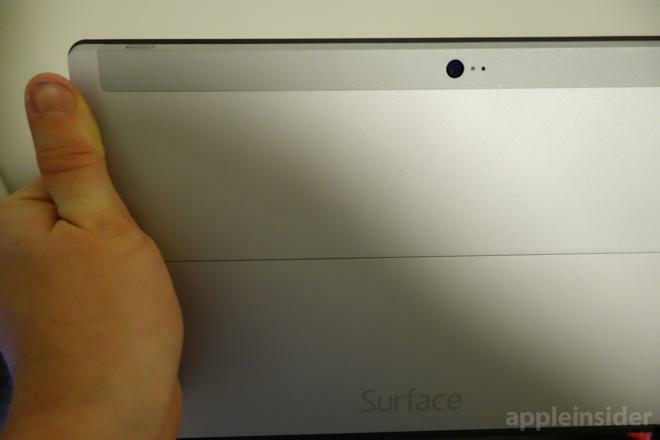 And the Surface 2 has a 3.5-megapixel forward-facing camera, and 5-megapixel rear camera. 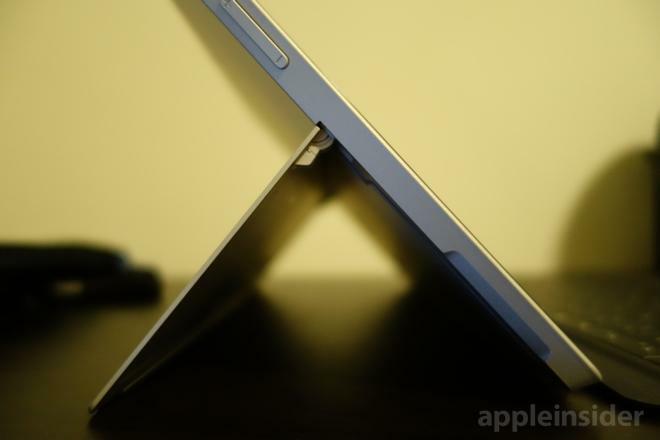 The Surface 2 is just about exactly as thick as Apple's third- and fourth-generation iPads, which means it will be thicker than the iPad Air, which arrives next week. The Surface 2 with Type Cover 2 is considerably thicker than an iPad with Smart Cover, though the latter option obviously lacks a dedicated physical keyboard. The new Type Cover 2 allows for 1.5-millimeters of key travel, which Microsoft says should allow for faster typing than its predecessor. The updated accessory also sports a backlight to make it easier to find your way around. Like its predecessor, the Type Cover 2 also includes a trackpad on the cloth surface. Touching it will bring up a traditional mouse cursor on the display, allowing users to interact with the device through either touching the screen or touching the trackpad. From our initial impressions, Surface 2 is an interesting device that seems more like a netbook successor than an iPad alternative. It's clear that the Surface 2 with kickstand and keyboard is meant to be used mostly in laptop-style mode on a desk, which is a stark contrast from how most people use Apple's iPad. The 16:9 aspect ratio of the device's large 10-inch screen makes using the device in tablet-style portrait mode, as we typically use our iPads, rather cumbersome. 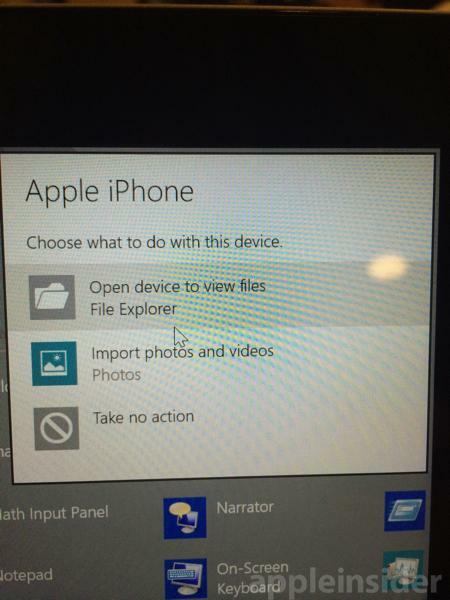 But the design of the Surface makes it apparent that the device is intended to mostly be used in landscape mode anyhow. The touchscreen is responsive, and the display offers adequate viewing angles, along with what Microsoft claims is less glare than the iPad. And the keyboard accessory works well for a smaller, thin keyboard, allowing us to type quickly. 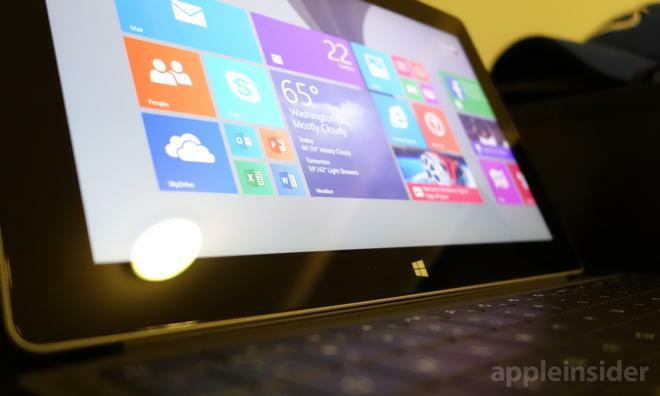 We'll have more on Surface 2, including how it performs as a productivity tool, in the coming days. Additional pictures of the device are included below.